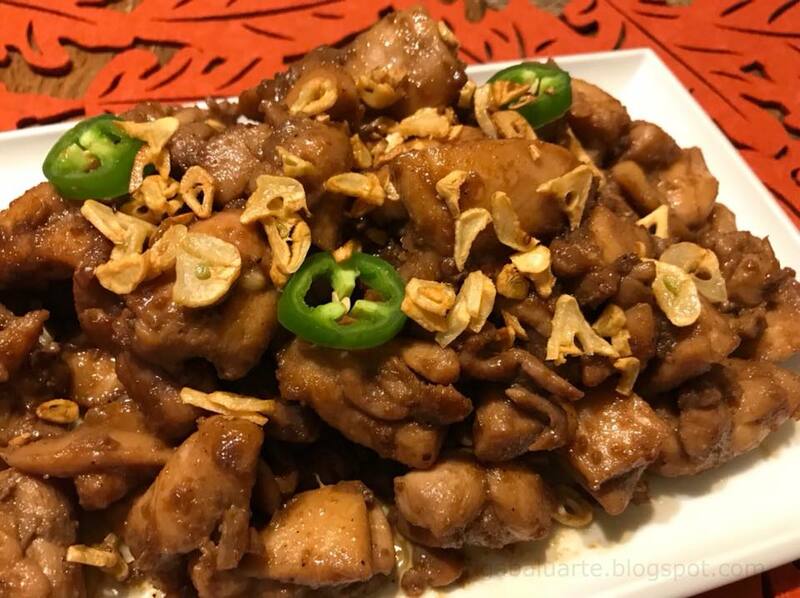 Chicken Salpicao is made with chicken, Worcestershire sauce, liquid seasoning and lots of garlic. 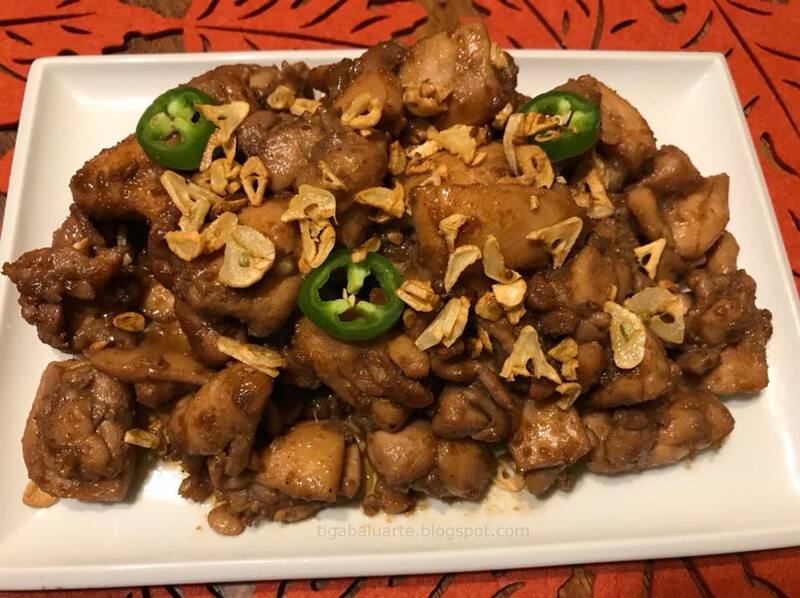 What I like about this recipe is so easy to make and only few ingredients needed. Check out step by step recipe below. Prepare marinade by mixing liquid seasoning, worcestershire sauce, garlic powder (or minced garlic) and ground pepper. Add chicken and mix well. Refrigerate for at least an hour or two. Heat oil in a pan and fry garlic until golden brown and crispy. Remove and set aside for later. Drain chicken and set aside remaining marinade for later. Using the same pan, add butter and fry chicken until fully cooked and brown. Add the marinade sauce and mix thoroughly. Cover the pan and simmer for 5 minutes or until sauce thickens. Remove cover and transfer in a serving dish. Top with fried garlic and garnish with hot pepper. Serve hot and Enjoy. If you want it spicy, fry hot peppers before frying the garlic using the same cooking oil. Set aside fried hot pepper with fried garlic for garnishing.